KRATER COMEDY CLUB: Until June 24, 7pm/8pm/10.30pm, £5-£36.50 Komedia, 44-47 Gardner Street, Brighton 0845 293 8480. LEWES RIVERSIDE CLUB: Pestalozzi International Trust by Jenny Prise, 2pm St Thomas’ Church Hall, Cliffe, Lewes. SEAFORD COMMUNITY CINEMA: Barn Theatre, Saxon Lane, 7.30pm, Darkest Hour, cert PG. Tickets £6/£5/£3.50. Available from Seaford Tourist Information Centre, 37 Church Street, 01323 897426. TALK: A Turbulent History of Pub Life in Lewes by Matthew Homewood, 7.30pm Anne of Cleves House, Southover High Street, Lewes. annacrabtree1@hotmail.com. WALK: 2½ mile flat circular HDC Health walk along bridleways, country lanes and Downs Link. Meet 11am in the Country Park car park (off Cripplegate Lane), Southwater RH13 7UN. Can be muddy. 1¼ hours. Dogs on a lead. Parking charge £1.50 for three hours. Jill 07780 701184. SUMMER CONCERT: Singers Rechoired. Findon Valley Free Church, 7.30pm. In aid of Coastal West Sussex Mind (collection on exit). Visit www.singersrechoired.co.uk. BLUE COUNTY: £16, 7.45pm The Hawth Theatre, Crawley (01293) 553636. Americana Night. SYDNEY RUTHERFORD: The Kings Arms, Horsham, 8pm. THE ELECTRIC TROUBADOURS: Railway Inn, Billingshurst, 9pm. TOWN OF CATS: £5, 8pm Lewes Con Club, 139 High Street, Lewes 01273 473076. 8 SONGS: £14.50-£16.50, 8pm Pavilion Theatre, Marine Parade, Worthing 01903 206206. Summer of Circus. A MIDSUMMER NIGHT’S DREAM: £12-£15, 7pm The Hawth Theatre, Crawley (01293) 553636. This Is My Theatre. PETER ANDRE: £29-£42, 7.30pm The Royal Hippodrome, Eastbourne (01323) 802020. An evening with Peter Andrew, unscripted interview discussion and Q&A. TROPICANA JUNE: £8, 8.30pm White Rock Theatre, Hastings (01424) 462288. Ultimate 80’s party night. NICHOLAS PARSONS: A Laugh a Minute. £15, 3.30pm The Royal Hippodrome, Eastbourne (01323) 802020. A NIGHT OF NASHVILLE: Presented by The Midsummer Ball. Chestnut Tree House will be one of the beneficiary charities. The evening’s entertainment includes a Strictly Come Dancing style dance competition that reflects the theme of the evening. Table of 10 is available for £950 or individual seats for £95. The show includes a drinks reception, three-course meal and half a bottle of wine per person. Bookings and info: Vicky Norman, 01903 871847, victoria.norman@chestnut-tree-house.org.uk. ANSTY GARDEN CLUB: Summer Coffee morning and plant sale, 10.30am-12.30pm, Ansty Village Hall, Deaks Lane, Ansty, RH17 5AS. CRAWLEY HORTICULTURAL SOCIETY: Summer show. Pelargonium and geranium show. Open 1.30pm-4pm. Refreshments available, teas, coffee and cakes. Also a raffle and plant sale. Adjacent to the old ambulance station. Crawley Horticultural Hall, Ifield Avenue, West Green, Crawley. HORLEY INFANT SCHOOL SUMMER FAIR: 11am-2pm. BBQ, bouncy castle, lucky dip, face-painting, tombolas, children’s games and much, much more. Organised by Friends of Horley Infant School. All money raised will go towards the school’s development programme. MID SUSSEX RAMBLERS: Seafront Walk from Shoreham, 5 miles with Frances 01273 842628. Meet at Norfolk Bridge car park, 11am. SUMMER FAIR: 12pm-3pm, St. Barnabas, Worth Road, Pound Hill. All welcome, free admittance. Stalls include books, children’s activities, crafts, good-as-new, home produce, jewellery, lunches, plants, raffle, refreshments, tombolas, toys and more. WALK: Park and meet 10.30am, opposite the Barn at Sumners Ponds, Fishery and Campsite, Barns Green (RH13 0PR). Four-mile HDC walk through woodland and meadows. Some stiles. Can be muddy after rain. No dogs. Two hours. Douglas 01403 268807 or Pauline 01403 240419. ENGLAND IN THE SUMMER: Brighton Consort. Director James Dixon with Gwen Martin (soprano) and Jamie Akers (lute). Madrigals, lute songs and part songs from across the centuries, including music Parsons, Byrd and Elgar. 7.30pm, St Peter’s Church, Henfield. Tickets £14 (£12 concessions) from www.brightconsort.org.uk, 01273 833746 or on the door. Email mike@brightonconsort.org.uk. SUSSEX CHORUS: Rossini – Petite Messe Solennelle. A Summer evening, enchanting music and a glass of wine. Hurstpierpoint College Chapel, College Road, Hurstpierpoint. Soloists: Laura Ruhi-Vidal, Tabitha Reynolds, Michael Jones, David Ireland, John Walker – piano, Darren Jameson – organ, Alan Vincent – conductor. Tickets £15 (includes interval drink) £5 for students and under 16s. From Sussex Chorus 01444 412579, Carousel Music 01444 417654, Burgess Hill Help Point 01444 247726, WeGotTickets.com, sussexchorus.org. THE SOUTHDOWNS CONCERT BAND: Celebration Concert with Arundel C of E School. Programme to include Crown Imperial, 633 Squadron and In the Miller Mood. 7pm, St. Nicholas Church, Arundel. Tickets £10 (under-16s free). Available from Arundel Museum and The Book Ferret, High Street, Arundel. Donation will be made to the Chestnut Tree House, Children Hospice. CROSSFIRE: The White Hart, Cranleigh, 9pm. BURGUNDY BLOOD: £10, 7.30pm Latest MusicBar, 14-17 Manchester Street, Brighton (01273) 687171. BYE BYE BABY: 7.30pm, £17.50, Uckfield Civic Centre, www.uckfieldciviccentre.com. A Celebration of Frankie Valli and The Four Seasons. Full theatre show covering the journey of the Four Seasons from the very beginning up until the disco era and the rock and roll hall of fame. 7.30pm Tickets: £17.50 (no concessions). CLASSIC CLAPTON UNPLUGGED: £15, 7.30pm The Hawth Theatre, Crawley (01293) 553636. Mike Hall and Adam Howells. Tribute act. CLOUDBUSTING: 40 Years of Kate Bush. June 23, 8pm, £21.50, The Capitol Theatre, Horsham, 01403 750220, www.thecapitolhorsham.com. FURIOUS BADGERS: Slinfold Cricket Club, Slinfold, 8.30pm. HORSHAM ROCKS PRESENTS: Mike and The Criminals, The Carfax Bandstand, Horsham. LEWES SATURDAY FOLK CLUB: £6, 8pm Elephant and Castle, Lewes. Ramekins. Sea songs in vocal harmony. MILTON HIDE: Free, 10am-noon at the regular coffee morning, Under Ground Theatre, Grove Road, Eastbourne 0845 680 1926. THE SUSSEX SONG MAKERS: £10-£12, 6pm Under Ground Theatre, Grove Road, Eastbourne 0845 680 1926. GARBUIX: £14.50-£16.50, 8pm (2pm June 24) Pavilion Theatre, Marine Parade, Worthing 01903 206206. Vavel Compania Circus. OLIVER: £12-£15, 1pm/6pm (11am/4pm June 24) Chequer Mead, East Grinstead (01342) 302000. Bullfrog Productions. Youth production. 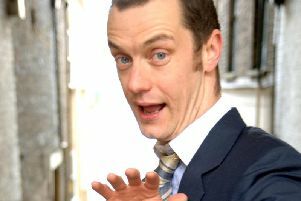 RICHARD TODD AND ZOE LYONS: £8, 7pm Komedia, 44-47 Gardner Street, Brighton 0845 293 8480. Edinburgh Preview. BEACHY HEAD RAMBLERS: Linear Ramble Between Eastbourne and Brighton (or just haflway perhaps), 22 miles with Colin W 07446 458138 Meet at Eastbourne Youth Hostel car park, off A259, 9am. BEDELANDS FARM NATURE RESERVE: 10am-2pm. Meet in car park off Maple Drive. Friends of Burgess Hill Green Circle Network, bi-monthly work parties, no experience needed, tools provided. Mary Smith (secretary) 01444 242667. HORSHAM CRAWLEY CTC: Sunday bike ride to Ditchling with optional climb of the beacon. 50 miles. Lunch in a cafe. All welcome. Meet at Three Bridges station, 9am, www.meetup.com/Horsham-Crawley-CTC. NUTLEY WINDMILL: Crowborough Road, Nutley. Vintage Day. Many Stationary Engines by Kent and Sussex Stationary Engine Club, 11am-5.30pm. Admission is free but donations are welcome. Parking at Frields Clump with a pleasant ten-minute walk from rear down Forest to the Mill. 01435 873367. Also wednesdays 11am-3pm. Brian Pike Friends of Nutley Windmill. OPEN GARDEN: The Secret Garden of Grange Road, 2pm-5.30pm. Teas and music in aid of Brighton Festival Chorus. CORELLI ENSEMBLE: £10-£12, 4pm St Leonard’s Church, Church Street, Seaford. ENGLAND IN THE SUMMER: Brighton Consort. Director James Dixon with Gwen Martin (soprano) and Jamie Akers (lute). Madrigals, lute songs and part songs from across the centuries, including music Parsons, Byrd and Elgar. 6pm, St Paul’s Church, West Street, Brighton. Tickets £14 (£12 concessions) from www.brightconsort.org.uk or 01273 833746 on the door. Email mike@brightonconsort.org.uk. SYMPHONIC CONCERT: Big School, Christ’s Hospital, 5pm. CH bids farewell to some of its most accomplished Grecian musicians in this concert of concerto movements, accompanied by the Symphony Orchestra and Chamber Orchestra. This year’s programme includes works by Mozart and Haydn alongside Bruch’s feted Violin Concerto. Tickets: £8, concessions £7, Friends £6. ARCELIA (TRIO): Free, 3.30pm Lewes Con Club, 139 High Street, Lewes 01273 473076. BETH ROWLEY TRIO: £10, 7.30pm Latest MusicBar, 14-17 Manchester Street, Brighton (01273) 687171. JASON FALLOON: The Bear, Horsham, 3.30pm. LEE MEAD: £25, 7.30pm The Royal Hippodrome, Eastbourne (01323) 802020. 10 Year Anniversary Tour. STAN’S SHOWCASE: Taygan Paxton, Across The Sea, Emnibis and Jim Briffett, The Anchor Hotel, Horsham, 7pm. SAM KELLY’S STATION HOUSE BAND: Cranleigh Arts Centre, 8pm. WHITNEY: Queen of The Night. £24-£26, 7.30pm The Hawth Theatre, Crawley (01293) 553636. MATT FORDE AND ADAM HESS: £8, 7.30pm Komedia, 44-47 Gardner Street, Brighton 0845 293 8480. Edinburgh Preview. EVENING OF MEDIUMSHIP: With medium Sandra Stevenson, 7.30pm, refreshments and raffle, £5, Barnham Community Hall, Yapton and Barnham SNU Spiritualist Pioneer Centre. GRUFFALO’S CHILD: £13, 2pm/4.30pm (11am/2pm June 26) The Hawth Theatre, Crawley (01293) 553636. SAMBAOKE: £10, 7.30pm Komedia, 44-47 Gardner Street, Brighton 0845 293 8480. Mass karaoke singalong. THE CASE OF THE FRIGHTENED LADY: From £14.90, 7.45pm until June 30 (Thurs/Sat mat 2.30pm) Theatre Royal, Brighton 0844 871 7650. Classic Thriller series. COMIC BOOM: £8-£10, 8pm Komedia, 44-47 Gardner Street, Brighton 0845 293 8480. Headliner Adam Hess, MC Laura Lexx. JO BRAND: £20, 8pm De la Warr Pavilion, Bexhill (01424) 229111. Fundraiser for Conquest Hospital MRI Scanner Appeal. ROB AUTON AND TANIA EDWARDS: £8, 7.30pm Komedia, 44-47 Gardner Street, Brighton 0845 293 8480. Edinburgh Preview. MID SUSSEX RAMBLERS: Lewes to Spain, 8.1 miles with Brian J (07985 201335 on day). Meet at Lewes train station forecourt, 10am. THE MARY HOW TRUST FILM SOCIETY: Next film is Battle of the Sexes, 7.30pm, West Chiltington Village Hall. Tickets cost £6. Contact clare.flexman@maryhowtrust.org. Tickets available on the door and from The Mary How Trust screening rooms and office. Call Clare Flexman on 01798 877646. Tickets also available from The Mary How Trust charity shop in Pulborough, The Card Centre in Storrington and Cherilyn/Nisa Local in West Chiltington. WALK: Meet 10am, Kings Head car park, Rudgwick, RH12 3EB, north off the A281 on the B2128 for about one mile). Four mile HDC walk (some slopes and stiles) through woods and fields. No dogs. 2 hours. Lynne 01403 268157. ROCK CHOIR: Tuesday, June 26, The Capitol Theatre, Horsham, 01403 750220. THE NIGHTMARE ROOM: £16-£23.50, 7.45pm until June 30 (Wed/Sat mat 2.30pm) Devonshire Park Theatre, Eastbourne (01323) 412000. LOU SANDERS AND FLO & JOAN: £8, 7.30pm Komedia, 44-47 Gardner Street, Brighton 0845 293 8480. Edinburgh Preview. THE ALL-NEW SCRUMMY MUMMIES SHOW: £15, 8pm Komedia, 44-47 Gardner Street, Brighton 0845 293 8480. Join Ellie and Helen for their new show. BEACHY HEAD RAMBLERS: The Sea and River to Our Right, 11 miles with Suzie T 07833 938903. Meet at Newhaven Fort car park, 10am. LEWES FOOTPATHS GROUP: Stroll in Piltdown with Sue and Sally 01825 371469. Meet at North Street car park, Lewes, 9.30am. MID SUSSEX RAMBLERS: Circular walk from Hassocks, 4 miles with Paula (07919 198047 on day). Meet at Hassocks Station forecourt, 7pm. THE BIG BANG FAIR, SOUTH EAST: June 27-28, South of England Showground, near Ardingly. This year is the first time the event is being held over two days. More than 250 employers will be there. The aim of the event is to inspire young people to study and pursue science, technology, engineering and maths (STEM) courses and careers. Local employers and educational institutions offer shows, workshops and interactive stands for Sussex students and their teachers to try and experience. WALK: Meet 10am, car park entrance Rookwood Golf Course, Horsham, RH12 3RR. Please park at far end of car park. 5½ mile HDC walk to Warnham. Can be muddy. No dogs. 2½ hours. Michael 07719 467861. SCHOLA IN SUMMER: Chapel, Christ’s Hospital, 7.30pm. The Schola Cantorum performs Bach’s early masterpiece ‘Cantata 150 Nach, dir Herr, verlanget mich’ with instrumental accompaniment, followed by a lighter second half with an American flavour. Adults £6, concessions £5, Friends £4. FROM THE JAM: £23.50-£25, 7.30pm The Hawth Theatre, Crawley (01293) 553636. Original bassist from The Jam, Bruce Foxton. YUNOHANA VARIATIONS: £6-£8, 8pm De la Warr Pavilion, Bexhill (01424) 229111. Yoshimio, Susie Ibarra and Robert Aiki Aubrey Lowe. BLOCK: £16.50, 8pm and June 28, Pavilion Theatre, Marine Parade, Worthing 01903 206206. Notfit State Circus. PANTO PANDEMONIUM: £8.50, 7.30pm Chequer Mead, East Grinstead (01342) 302000. Dormansland Primary School. BEACHY HEAD RAMBLERS: Going Cuckoo Tonight, 5 miles with Peter S 01435 813338. Meet at Hellingly Cuckoo Trail car park, 6.30pm. MID SUSSEX RAMBLERS: Sussex Diamond Way Stage 6, 8 miles with Paul J 01444 441530. Meet on verge, Church Lane, just off A275, 10am. POLEGATE RAMBLERS: Walking The Parks, 2 miles with John 489228. Meet at the Medical Centre, 10.15am bus 56 to Stone Cross Looking for Castles, 5 miles with Eric 845569. Or, Retrace The Steps, 11 miles with Jan 763700. Meet at Wannock Road Recreation Ground, 9.30am. BIG BAND CONCERT: Theatre, Christ’s Hospital, Horsham, 7.30pm. The ever-popular CH big band returns for the summer concert. Spanning decades of jazz and big band music, the band will play a mixture of old and new pieces, including some small group jazz and a number of vocal items. Adults £12, concessions £11, Friends £10. LUNCHTIME CONCERT: Free with retiring collection, 1.10pm St Anne’s Church, Lewes. Lunchtime clarinet recital. LYDIA EVANGELINE: £5, 7.30pm Komedia, 44-47 Gardner Street, Brighton 0845 293 8480. THE CARPENTERS STORY: June 28, 8pm, £24.50, The Capitol Theatre, Horsham, 01403 750220. TOTALLY TINA: £21.50-£23.50, 7.30pm White Rock Theatre, Hastings (01424) 462288. Tribute show. A SONGBIRD FOR THE SEASON: £8, 7.15pm The Hawth Theatre, Crawley (01293) 553636. Performed by local community groups. GIOVANNI PERNICE: £25-£30, 8pm The Royal Hippodrome, Eastbourne (01323) 802020. Live on Tour. Born to Win. Duke Of York’s (0871 902 5728): The Happy Prince (15) Fri 1.30, 6.30; Sat 12.45, 6.10; Sun 6.30; Wed 3.45, 6.15; Big Scream: Mon 3.30; Wed 10.30; Silver Screen: Tue 10.30; Thu 10.00; HOH Subtitled Tue 6.15; Thu 3.15. Hereditary (15) 3.50, 9.00; Sat 3.15, 8.30; Sun 3.45, 9.00; Mon 12.30, 6.00, 9.00; Tue 3.15, 8.45; Wed 1.00, 9.00; Thu 12.30, 5.45. Dementia Friendly Screening: There’s No Business Like Show Business (U) Fri 11.00. Kids’ Club: Paddington (PG) Sat 10.30. Toddler Time: Hey Duggee Programme 15 (U) Mon 11.00. Stanley Kubrick Season: Barry Lyndon (12A) Sun 12.00. Discover Tuesdays: Stanley A Man Of Variety (15) Tue 1.00. A Cambodian Spring (15) Thu 8.30. Orion (01444 243300): Ocean’s 8 (12A) Fri & Mon-Thu 5.30, 8.30; Sat & Sun 1.15, 4.30, 7.30. Jurassic World: Fallen Kingdom (12A) Fri & Mon-Thu 5.00, 8.00; Sat & Sun 1.40, 5.00, 8.00. Golden Years Show: Jurassic World: Fallen Kingdom (12A) Wed 2.00. New Park (01243 786650): The Happy Prince (15) Fri 1.00, 6.00; Sat 1.15, 8.30; Sun 12.15, 5.45; Mon 12.30, 5.45; Tue 3.30, 8.30; Wed 1.15, 6.15; Thu 1.00, 6.15. Sweet Country (15) Fri 3.30; Tue 6.00. The Young Karl Marx (tbc) Fri 8.30; Wed 3.45; Thu 3.30. Anon (15) Sat 3.45; Sun 8.15; Wed 8.45. The Wild Boys (15) Sat 6.00; Mon 8.15; Tue 1.15. Opera Roma: Billy Budd (PG) Sun 2.30. Joyeux Noel (12A) Mon 3.00. Arts Centre (01483 278000): Darkest Hour (PG) Sat 2.00, 8.00. Phantom Thread (15) Thu 8.00. Curzon (01323 731441): Hereditary (15) 2.10 (Sat & Sun only); 5.00, 8.10. Jurassic World: Fallen Kingdom (12A) 2.05, 5.05, 8.05. Edie (12A) Fri & Mon-Thu 2.10. Book Club (12A) 2.00, 5.10 (not Wed). Deadpool 2 (15) 8.00 (not Wed). The Square (15) Wed 1.50, 4.45, 7.45. Scott Cinemas – The Atrium Cinema (01342 321666): Jurassic World: Fallen Kingdom (12A) 1.25, 4.30, 7.35. Ocean’s 8 (12A) 2.35, 5.20, 8.10. The Happy Prince (15) 3.00, 5.35, 8.15. Kids Crew: Duck Duck Goose (PG) Sat 10.10. Kids Crew: Early Man (PG) Sat 10.10. Kids Crew: Isle Of Dogs (PG) Sat 10.10. Show Dogs (PG) Sat & Sun 12,25, Sherlock Gnomes (U) Sat & Sun 12.45. Pavilion (01323 841414): Avengers: Infinity War (12A) Fri 7.45; Sat & Sun 2.15, 7.45. Edie (12A) Mon & Tue 7.45; Wed & Thu 2.15, 7.45. The Capitol (01403 750220): Ocean’s 8 (12A) Fri, Sat, Mon & Wed 1.45, 4.45, 7.45; Sun 10.45, 1.45, 4.45, 7.45; Tue & Thu 4.45, 7.45. Book Club (12A) 2.15 (not Tue & Thu); 5.15, 8.15. Family Film Fun: Beauty And The Beast (PG) Sat 10.30. Skid Row Marathon (12A) Wed 5.00, 7.30. Depot (01273 525354) (lewesdepot.org): The Happy Prince (15) Fri & Sat 3.45, 6.00, 8.15; Sun 4.15, 6.30, 8.45; Mon & Wed 4.00, 6.15, 8.30; Tue 3.00, 5.15, 8.45; Thu 3.45, 6.15, 8.30. In The Fade (18) Fri & Sun 6.15, 8.30; Sat 6.45, 9.00; Mon 4.45, 8.45; Tue 6.15, 8.45; Wed & Thu 8.45; Parent & Baby Screening: Tue 12.00. Edie (PG) Fri & Tue 4.00; Sat 2.30, 4.30, 7.00; Sun 3.45; Mon 2.30; Tue 4.00; Wed 1.45; Thu 3.30. McQueen (15) Fri 8.45; Sat 4.45; Sun 4.30, 8.45; Mon 4.30; Tue 6.30; Wed 4.15; Thu 5.45. Boom For Real: The Late Teenage Years Of Jean-Michel Basquiat (15) Fri 4.30, 6.30; Sat 9.15; Sun, Mon & Wed 6.45; Tue 4.30; Thu 4.00. The Piano (15) Mon 7.00. Jaws (12A) Sat 2.00. Fantasia (U) Sat 11.00; Sun 12.30; Relaxed: Sun 1.30. Whiplash (15) Sun 2.00. She’s Beautiful When She’s Angry (15) Mon 7.00. 2001: A Space Odyssey (U) Tue 7.30. Desert Hearts (18) Thu 8.00. Matthew Bourne’s Cinderella (PG) Thu 6.00. Windmill Cinema (01903 715920): Jurassic World: Fallen Kingdom (12A) Fri, Sat, Mon & Wed 3.45, 8.15; Sun 3.30, 6.00; Tue & Thu 3.30, 8.15. The Leisure Seeker (15) Mon 3.30; Tue 6.05. Edie (12A) Wed 3.40; Thu 6.10. Seaford Community Cinema, Barn Theatre (www.seafordcinema.org): Darkest Hour (PG) Fri 7.30. The Picture House (01825 764909): Cinephile Sunday: Under The Skin (15) Sun 7.45. Ocean’s 8 (12A) Fri & Mon-Thu 2.10, 6.10, 8.25; Sat & Sun 1.15, 3.45, 6.10, 8.25; Parent & Baby Screening: Thu 11.30. The Happy Prince (15) Fri, Mon, Wed & Thu 2.20, 6.20, 8.30; Sat & Sun 1.30, 6.20, 8.30; Tue 2.00, 6.20, 8.30; Parent & Baby Screening: Thu 11.00. Jurassic World: Fallen Kingdom (12A) Fri, Mon, Wed & Thu 6.00, 8.35; Sat 11.00, 3.25, 6.00, 8.35; Sun 2.30, 5.00; Tue 3.45; Parent & Baby Screening: Thu 11.15. Book Club (12A) Fri, Mon & Thu 2.00, 4.10; Sat 1.15; Sun 12.15; Tue 1.30, 4.10. Solo: A Star Wars Story (12A) Sat & Sun 3.40. Saturday Morning Movie: Ferdinand (U) Sat 10.30. Glyndebourne Festival Encore: Madama Butterfly (12A) Tue 7.00. Dome (01903 823112): 2001: Book Club (12A) Fri & Mon-Thu 11.45. Duck Duck Goose (PG) Sat & Sun 10.15. Hereditary (15) 2.45, 5.30, 8.15. Jurassic World: Fallen Kingdom (12A) Fri & Mon-Thu 12.00, 2.05, 5.00, 7.50; Sat & Sun 10.25, 12.05, 3.00, 5.45, 8.30. Ocean’s 8 (12A) Fri & Tue-Thu 12.45, 3.25, 6.00, 8.30; Sat & Sun 12.55, 3.20, 5.55, 8.30; Mon 3.00, 5.45, 8.30. Parent & Baby Screening: Ocean’s 8 (12A) Mon 12.00. Peter Rabbit (PG) Sat & Sun 10.00. Solo: A Star Wars Story (12A) Sat & Sun 12.10. Connaught (01903 206206): Ocean’s 8 (12A) Fri & Mon- Thu 3.30, 6.00, 8.30; Sat & Sun 1.00, 3.30, 6.00, 8.30. Jurassic World: Fallen Kingdom (12A) Fri 12.45; Sat 10.30; Sun 8.40; Mon 12.45; Tue 5.30; Wed 1.00; Thu 8.15. Book Club (12A) Sat 3.45; Mon 3.45, 8.40; Tue 12.30; Thu 1.00. Edie (12A) Fri 2.30; Mon 1.20; Tue 1.00; Wed 2.10; Thu 3.15. The Happy Prince (15) Fri 12.00, 5.00; Sat 1.15, 6.10; Sun 11.30, 6.10; Mon 6.10; Tue 3.00, 8.15; Wed 11.45, 4.30; Thu 12.45, 5.45. Double Bill: Grave Of The Fireflies/My Neighbour Totoro (12A) Fri 7.30. Saturday Morning Pictures: My Neighbour Totoro (U) Sat 10.15. Solo: A Star Wars Story (12A) Sat 8.40; Sun 10.10. The Good, The Bad And The Ugly (15) Sun 2.00. Silver Screen: The Happy Prince (15) Mon 11.00. Glyndebourne Encore: Madama Butterfly (12A) Wed 7.15.